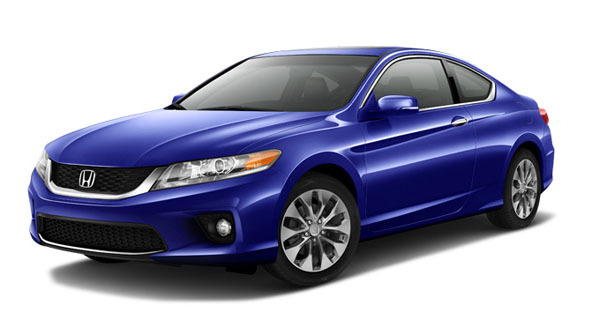 The 2014 Honda Accord Hybrid reflects the styling of the traditionally powered sedan, but with a few special touches. Along with the classic bodylines, the Hybrid also features a variety of different design elements, such as a blue-accented front grille and headlights. Additionally, the Hybrid maximizes an aerodynamic design with a decklid spoiler, making the car less likely to be affected by drag. A hybrid powertrain combining a 2.0-liter four-cylinder engine and an electric motor powers the 2014 Accord Hybrid, creating a total of 196 horsepower and 226 lb-ft of torque. With this combination, the Hybrid is able to reach 60 mph from a standstill in 7.5 seconds, making it one of the quickest non-luxury hybrids on the market. The EPA-estimated fuel economy for the Accord Hybrid is 47 mpg combined, which is plenty to make sure that you don’t become a regular at your local gas station. Elegant is the keyword when you take in the entirety of the Accord Hybrid’s cabin, as the mostly high-end materials and tight construction make you feel as if you’re actually sitting in an entry-level luxury car. The dash is driver-oriented and easy to read, while the 8-inch display allows you to stay connected with a variety of information, audio, and navigation interfaces depending on your trim level. The backseat is also something to marvel at with class-leading space and comfort making it perfect for any passenger, child, or adult. 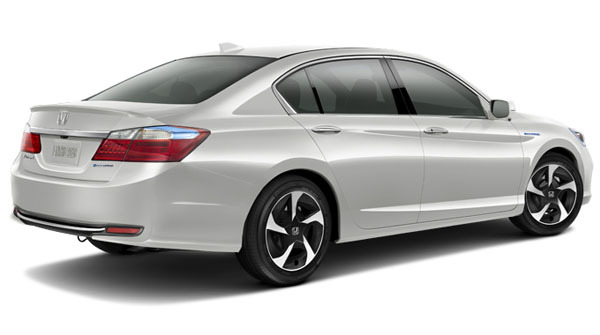 The 2014 Honda Accord Hybrid hasn’t been put through the crash test gauntlet yet, but the regular sedan has and received a fantastic five out of five stars for overall protection. The similar body structures should lend a similar result for the Hybrid, which has the typical standard safety features such as stability and traction control, along with standard blind-spot monitoring and a rearview camera. Frank Ancona Honda is celebrating its 50 year anniversary in Olathe, Kansas this year. The dealership, originally founded in Northeast Kansas City, started out with multiple motorcycle stores until Frank Ancona relocated it to Olathe in June 18, 1986 and changed the name to Frank Ancona Honda. During that time, the dealership was an Olathe destination – surrounded by farmland and a small population. Now, the bustling Olathe-area has a population of more than 125,000, is the fourth largest city in the Kansas City metro and has tons of commerce surrounding the dealership. Michael, Frank’s son, who grew up with five sisters, assumed leadership of Frank Ancona Honda after working with his father since the age of 12 on miscellaneous projects such as clean up, parts deployment, service runner and sales. The money he earned during the summers with his dad paid for his way through KU.